and has awarded the Mega-Byte seal of approval. Enjoy! Cream butter well, then mix in sugar, egg, vanilla, flour, salt, baking soda, chocolate chips, oats, and mealworm flour. Drop batter by the teaspoonful on a greased cookie sheet. Preheat oven and bake for 10 minutes at 375°. To make mealworm flour: Spread cleaned insects on a lightly greased cookie sheet. Set oven to 200 and dry insects for approximately 1 to 3 hours. When the insects are done, they should be fairly brittle and crush easily. Take your dried insects and put them into a blender or coffee grinder, and grind till they are about the consistency of wheat germ. Bake the crickets at 250° until crunchy. (The time needed for crunchy perfection varies from oven to oven.) Heat the chocolate in a double boiler or microwave until melted. Dip the dry-roasted crickets in the melted chocolate one by one, and then set the chocolate-covered crickets out to dry on a piece of wax paper. Add the chopped onions, chiles, and tomato, and season with salt. Sprinkle with ground pepper, cumin, and oregano, to taste. Serve in taco shells and garnish with cilantro. Guess what? It turns out that you probably eat bugs every day. For example: Did you know that under the FDA's "Food Defect Action Levels" it is acceptable for two or three maggots to live in every 100 grams of spaghetti sauce? And, there is a high probability that there are 10 or more fruit-fly eggs in every eight ounces of raisins. 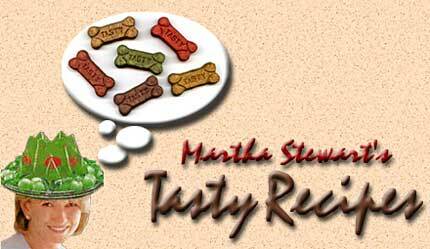 More of "The Best of Martha Stewart Recipes"